On the qrg 3,740 Mhz + /- Qrm. The Control Center with the callsign oe3xrc, operated by Marion oe3ysc. ALL YL's most cordially invited to participate, I would be very pleased to see your numerous participation! After the round, all listeners and om's are loaded to the Traffic Controller. any yls / xyl s pse contact me on my whats app number or by email . In the southern hemisphere we are enjoying barbies (BBQ) and long cold drinks, which is what we hope the activators will be enjoying during the 10th annual South America Lighthouse weekend 17-18 Feb). Judging from Facebook chatter, this event is gaining momentum. A reminder that its only a month until International Womens Day, so dust off your mics and head-sets and make a contact. displayed in a girl’s house. The 15th JLRS Hina Contest celebrates this festival. The objective is for YL stations to promote active contacts and interaction with as many other stations as possible. Contact with a YL station counts 10 points. and an OM station counts 1 point. For details of special multipliers and rules send inquiry to e-mail to jq6fqi@jarl.com. Ladies – only 2 more months to work special YL event 8N60JLRS which celebrate the 60th anniversaryof JLRS. Special event station was launched April 1, 2017, and runs until March 31, 2018. Kuni Kan JA1YL, and late Kimi Kobayashi JA0EC. As of April 2017, we have about 160 members in Japan and 43 overseas., more than 200 members in total. participants from other countries shall send their log to Sophie, F4DHQ (f4dhq@orange.fr). 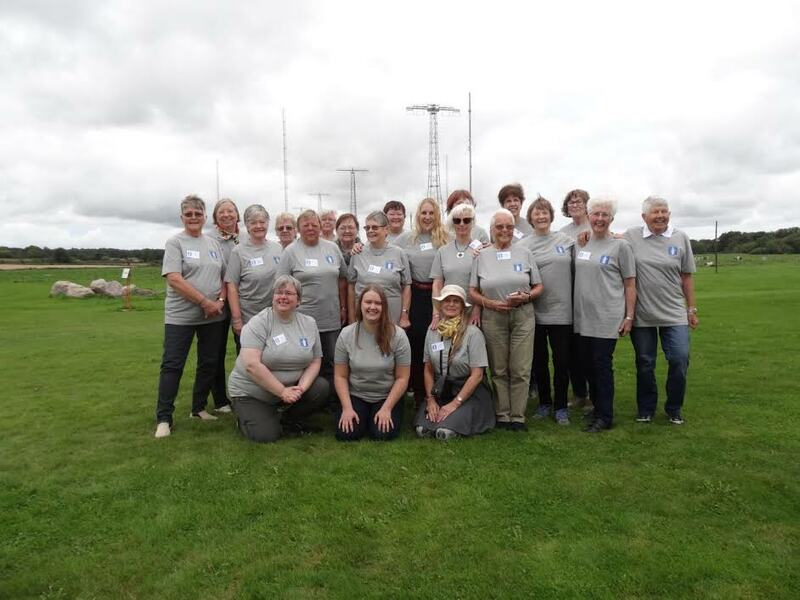 about the Scandanavian Ladies Meeting she attended last year, 2017. 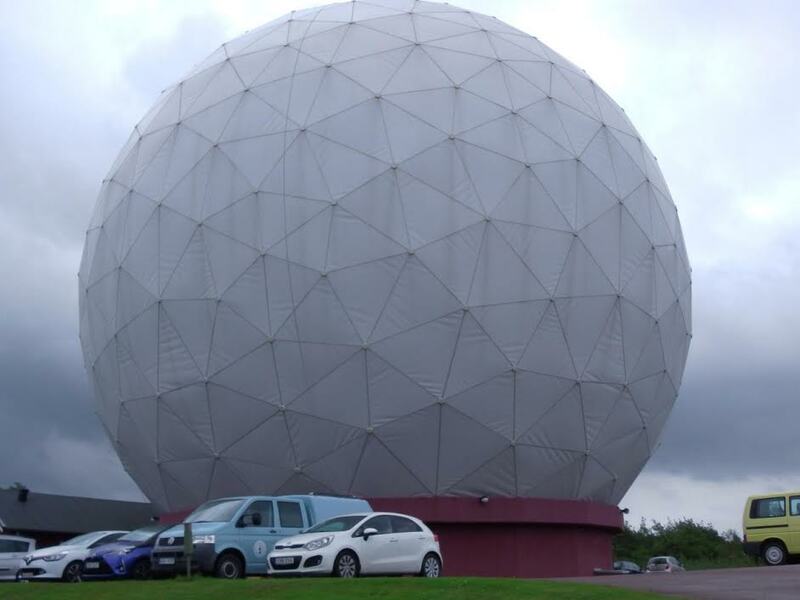 Linda G0AJJ: Our local club Bittern DX Group is involved with Thinking Day on the Air on 17th February and will be running a special event station using the callsign GB5WDG. We hope to put around 100 girl guides on air on various modes so please listen out for us. Propagation is dire at the moment 😞 but hopefully it will improve soon. I do take part in a number of contests during the year using my callsign and the local club call of G6IPU/P. With the band conditions in such poor shape at present I have been spending time on FT8 and other digital modes although my main interest is in VHF/UHF. On Thursday at 18:30 UTC, I share the running of a BYLARA net on 80m. Unfortunately the band has not been “playing ball” with us the last few weeks and we have had to revert to echolink. If any ladies would like to join us on echolink it would be lovely to hear them. Getting to Kungsbacka involved two air flights, a coach trip and a train journey. The plane trips from our regional airport at Norwich (UK) and then from Amsterdam went smoothly without too much delay between flights. Thanks to detailed instructions from Anita and Solveig we were soon on our way to Gothenburg by Flygbussarna airport coach. We took the opportunity to relax and enjoy the vast woodland scenery before arriving at the bus/train terminal. After a very substantial breakfast in the hotel restaurant we all travelled by coach to the small town of Onsala. Our first stop was the church where we heard about the history of Onsala. The wealth of the church came mainly from the local ship Captains and crew on their return from a sea voyage. Ships in churches are traditional along the west coast of Sweden. We stopped for a traditional Swedish “fika” at the club house of Kungbacka Radioamatorer SK6KY. Arne entertained us by playing the National Anthem of each country represented at the meeting. Apart from the Scandinavian countries of Iceland, Norway, Finland, Sweden and Denmark, there were ladies and their partners from Germany, France, England, New Zealand and USA. Solveig (SM6KAT) had arranged for us to visit the Onsala Space Observatory, where she works, to hear about the latest developments in space science and see the huge twin radio telescopes. These are part of a global network of radio telescopes all over the world. Telescopes in different locations collect radio waves from the same distant sources and are compared. Information is analysed to study distant galaxies, and also to determine position relative to each other for accurate measurement. For example: Measurements show how the Earth’s tectonic plates are moving and how the Earth’s rotation axis and rotation speed changes. The 20 metre radio telescope has carried out geodetic measurements since 1980. The technique is called geodetic VLBI (very long baseline interferometry). We returned to the clubhouse for a special Swedish Thursday dinner (yes, I know it was Friday!) this comprised of a delicious soup, meats, etc. beer and special Swedish liquor which I suspect was quite alcoholic! I’m not sure how to describe the taste….it wasn’t unpleasant and it certainly improved the more you drank! The radio club had set up a station SK6SYL for us for the evening but the conditions were dire. I believe Rosel DL3KWR made a few CW contacts and Joana DJ5YL managed one SSB before the bands faded out. Saturday morning the coach collected us for the journey to Varberg, to the south of Kungsbacka, to visit Radio Station Grimeton which is on the UNESCO World Heritage list. The morning was dry but overcast, certainly better than the continual rain showers of yesterday. Grimeton is a museum representing the progress of development of communication technology following WW1. We had a guided tour and were told about the radio station’s history since 1920 and what is happening on the site today. The Swedish-American Ernst Alexanderson developed a technology for wireless telegraphy which came to be used at Grimeton. It is a 50 ton long wave transmitter with a high frequency alternator and multiple antenna. It is unique in being the only surviving radio station from before radio tubes for high power. The station has the callsign SAQ and first started to operate in 1924, mainly for telegraphy with America. New technology using valves arrived in 1938. During WW2 it was Scandinavia’s gateway to the outside world, cable connections having been destroyed by the nations at war. The equipment is fully operational and is used on special occasions every year. It results in reports from listeners in many countries. We walked around the base of one of the six multiple antenna towers. Each tower is 127 m high and the cross arm is 46 m wide. Not something you could have in your back garden! Between the towers are eight leaders (originally twelve) for the antenna current. Radio waves are radiated from the vertical antenna conductor, one from each tower. Grimeton has its own amateur radio station SK6SAQ and the highlight of my day was operating the station on 20m SSB. They have a huge log periodic antenna which I would dearly love to have, however I don’t think the neighbours would be very impressed! After cake and coffee we returned to the coach for our next destination Fjaras Braecka, the Museum of the Sea, where we learned about the local sailors and merchants of the area and heard about the pirates that ravaged the west coast of Sweden. The museum had an interactive room where it was possible to try your hand at navigating through the fiords to the sea. 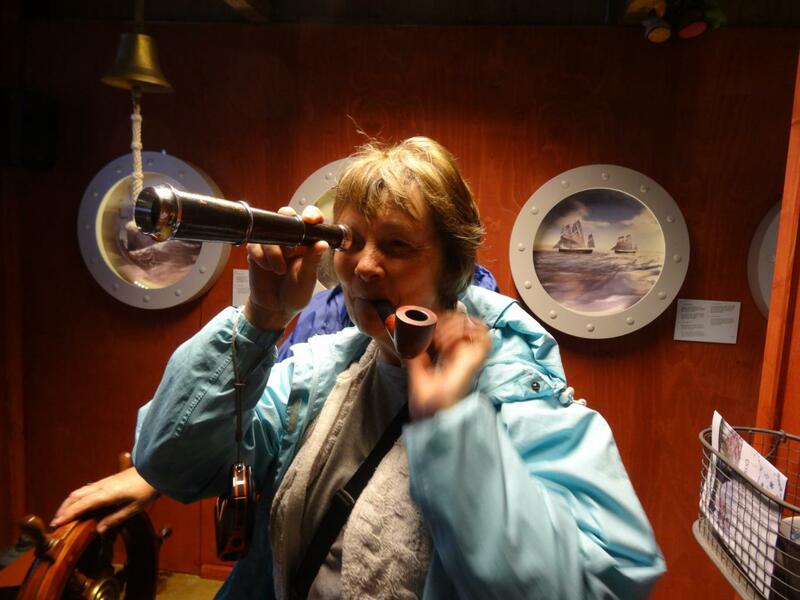 Part of the fun was to wear a captain’s cap, have a pipe in your mouth and a telescope under arm. I have to confess that I failed miserably and ran my ship aground! On the way back to the hotel we stopped off the see the little church where Arne plays Christmas Carols on his trumpet from the tower on Christmas Eve every year. It is one of the few areas of high ground and we had a good view across the fields to the little villages. We returned to the Hotel with time to spare for a walk around the old city centre of Kungsbacka and the shopping centre Kungsmassan. The city centre has some lovely buildings and was a hive of activity with the remains of an open market. At 6.30pm we all met in the lobby of the hotel for a short walk to Restaurant Esters for our gala dinner. The food was good and I particularly enjoyed the reindeer with lingonberries. These are tiny yellowy/red berries that are similar to cranberries and grow in the arctic tundra throughout the northern hemisphere. The dessert, crème brulee with ice cream was excellent! On our last day we were picked up by the bus at 9am for the trip to Gothenburg. We viewed some of the important buildings and the oldest area of Gothenburg. We also visited Masthuggskyrkan church which is located on the hill above Stigbergstorget and is one of Gothenburg’s best viewpoints. Our final stop was at the Radio museum where we were served lunch and heard a talk from the curators who are also licensed radio amateurs. This was like a step back into the past with many old radios and TVs that I could recognise from my childhood. The museum was divided into sections covering Broadcasting including Television, Ships Radio, Coastal Radio, Military Radio, Car Radio, Mobilephones and measuring equipment. The broadcast equipment dated from the early 1900s up to1960. Many of the radio sets were in full working order with the opportunity to listen to medium wave transmissions. The marine radio section covered the development of ships radio from spark transmitters to satellite receivers. The Amateur Radio section had old hand built equipment from 1920 to the more advanced equipment of today. I could recognise some pieces of equipment that I had possessed in the early 1980s. The museum has its own callsign of SK6RM but it was not active that afternoon. The military section has portable radio equipment that weighs 16 kg and needs electricity generated by pedalling. I particularly enjoyed the section with the reconstruction of a 1960’s living room. I can remember a similar arrangement at home when I was about 10 years old with the TV in the corner. I had forgotten how small the screen was and how big the back of the TV was to accommodate the cathode ray tube. In the broadcast section I came across a radio similar to that which my granddad had used. There were some lovely examples of Grundig receivers. There was also a Dansette record player exactly like my first player which I purchased from Curry’s in 1963 with money earned picking black currents in the school holiday. I could certainly have spent much more time looking around, but the coach was ready to take us back to Kungsbacka. Resturant in the town. We were joined by Anna and Vala and much fun was had by all. We were up early next morning to catch the train back to Gothenburg. We arrived at the airport in driving rain with very black clouds moving fast across the sky. Our flight to Amsterdam was delayed because of the storm, so we went for a coffee. The trip from Amsterdam to Norwich was uneventful and we landed in the sunshine, the storm having passed over into Europe earlier that day! Sincere thanks to both Solveig SM6KAT and Anita SM6FXW who did a terrific job of organising the meeting and made our first trip to Sweden very memorable. We are looking forward to the next meeting in Finland in 2019. The Annual OHDXF & CCF Meeting will be in Turku, Finland on 9 – 11.3.2018. The organizer is OHDXF. The meeting will be held in the Caribia resort, located just two kilometers from the City Center. Booking is open until the 8th of Februay. 16-18 St Patrick's Day Contest. 12 AM, 16th March - 12 AM, 18th March. The focus is on the ladies here. But of course all hams and SWLs are cordially invited to participate. Annually on the first Tuesday in March from 1900 to 2100 UTC.